Thanks to the last update – you now get Java 7 option for any of the application. 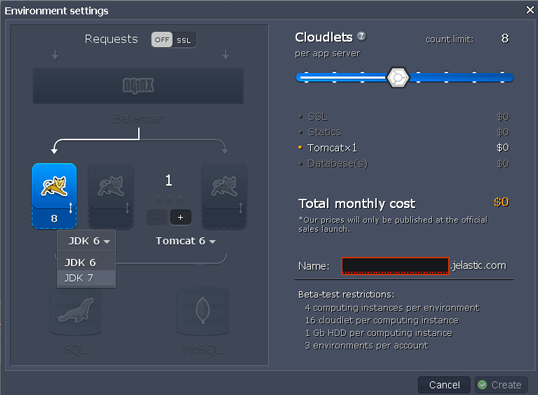 This option is available for all application servers: Tomcat, GlassFish, Jetty. In the Environment Settings dialog box, change the JDK version dropdown to JDK 7. Java 7 is a big step forward compared to Java 6 – give it a try!